10-Former British police station (foreground). To the right are the arches of a 2000-year-old Roman bridge. 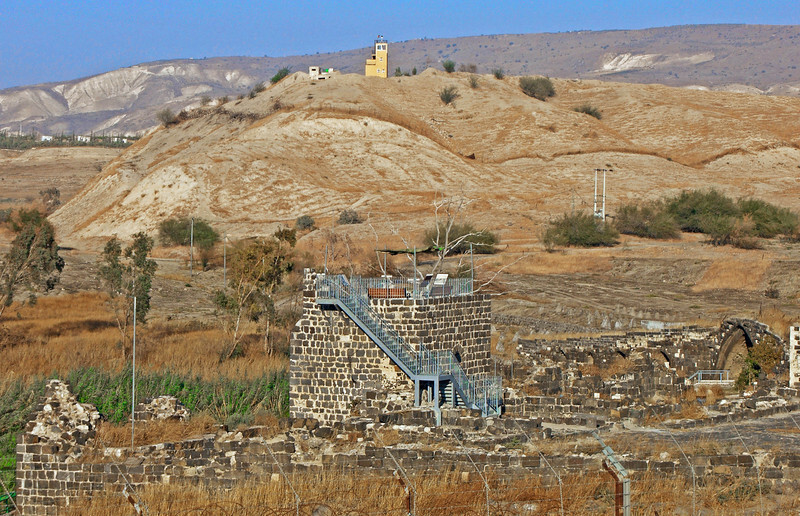 Jordan watch tower (background).